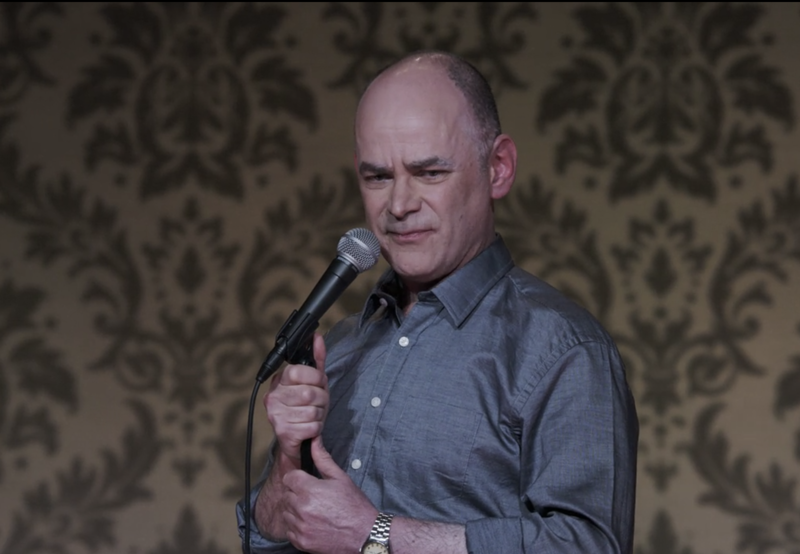 Todd Barry has a new Netflix special titled Spicy Honey which he filmed at Music Hall of Williamsburg (though they do a decent job of making in look like a small theater). Subjects include pricey soap, Hitler’s taste in wine, and getting free stuff, all filtered through Todd’s ultra-dry sarcastic wit. As usual, he does some crowd work, picking on one guy in the front row who he finds out works for indie label Sacred Bones. “Metal label?’ Todd asks, expecting a yes, and when the guy says no, he asks who Sacred Bones’ biggest artist is…which is David Lynch. “David Lynch? Oh, my favorite singer. Actually, him and Martin Scorsese are my two favorite recording artists… this guy doesn’t know what a record label is.” The employee in question is Brad Sanders, a former writer for our metal site, Invisible Oranges, who is now Project Manager for Sacred Bones. Maybe he sent Todd the David Lynch album The Big Dream since this was taped. The whole thing is very funny and you watch the trailer (and Todd’s recent appearance on Seth Meyers), below. Having just celebrated his 30th anniversary of being a standup comedian and appearing at Night 6 of Yo La Tengo’s Hanukkah celebration, Todd continues to play shows, including tonight (1/3) at NYC’s Comedy Cellar where he’s part of the 9:30 show with Michelle Wolf and more (make a reservation). He’ll then take his Crowd Work tour to the West Coast including a stop at SF Sketchfest. All dates are listed below.